Keeping your children safe is of the utmost importance. Our home safety tips for children are a great starting point to help ensure they have the tools and knowledge they need to react quickly and appropriately in certain situations. When an emergency happens, your children need to know exactly who to contact and what steps to take to keep themselves out of harm’s way. This emergency list should be comprehensive to make sure there’s always someone they can reach. While you’ll always include the obvious like yourself, your spouse, or near-by relatives, consider close friends or neighbors you’ve known for years and trust. Not only should they be taught the appropriate times to call 911, they need to know what to tell the operator when they do. Operators will want to know where they are calling from and the details of the emergency. For younger children, you can keep the relevant information near the phone, such as your home address and names. They should also know not to hang up until the operator says it’s okay. It is critical your kids know how to use your home security system. Show them everything from how the system works, how to arm the system, and possibly how to disarm the system if you need to. Make sure they know to only disarm the system if it is necessary. If you don’t currently have a home security system, don’t wait until after an emergency happens to get one! A home security system from Habitec Security protects your family and your home. Fires or natural disasters can happen. Your children should know how to respond to each situation. Show them the fastest escape routes to leave the home in the case of a fire. You’ll also want to plan a safe gathering point away from the home so they know where to go in the case of an evacuation. One of the most important tips for family home safety is explaining to children the danger of talking to strangers. Let them know it’s okay not to answer the phone when it’s a name they don’t recognize. If someone rings the doorbell, warn them strangers will sometimes pretend to be there for a delivery, repair, or even as a member of the emergency services. Thankfully, most kids are taught never to tell a stranger they’re home alone, but it never hurts to remind them of this any time you’re leaving them, even if it’s just for 10 minutes. If you’d like to know who is at the door even when you’re not home, you should read about the SkyBell HD Video Doorbell Camera! It lets you see, hear, and even speak to the visitor at the door. They won’t have any idea you’re not home, which can help dissuade potential invaders. Home safety extends well outside your walls with mobile phones and social media. Teach your children safe habits and warn them about the dangers of oversharing online. Announcing to the public their parents are on vacation, or the family is going on a trip is an unfortunately dangerous way to let burglars know exactly where to go. Always assume anything online is visible to the whole world. 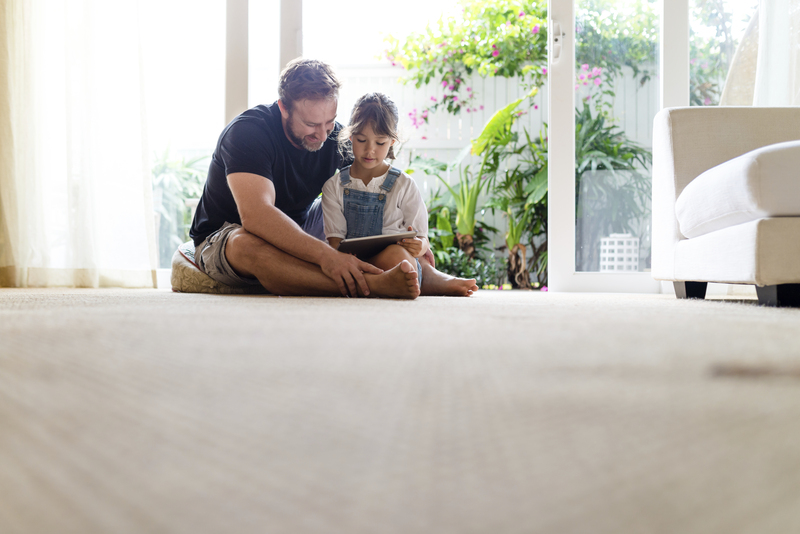 Once you’ve educated your kids on home safety, the next step is to practice until they follow the right steps to stay safe. One of the best ways to see how your children will react to an emergency is to do walkthroughs or drills for specific emergency situations. Whether it’s a fire drill or pretending a stranger is at the door, let them react naturally and correct them if they make any mistakes. This is your chance to get an idea for how they interpret the information they’ve been given. Protect Your Family – Schedule a Security Evaluation Today! The best way to protect you, your home and your family is to equip your home with a modern security system. Our security experts can customize the right system for your needs backed by award-winning, 24-hour local monitoring. Contact us today!